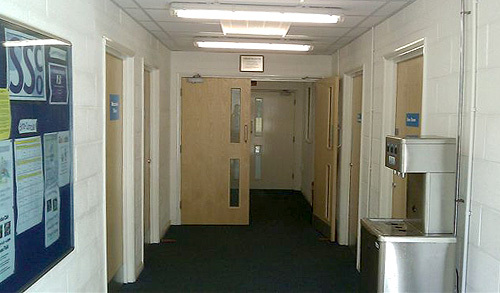 Collingwood College in Camberley, Surrey is one of the largest secondary schools in the UK with almost 2300 students. 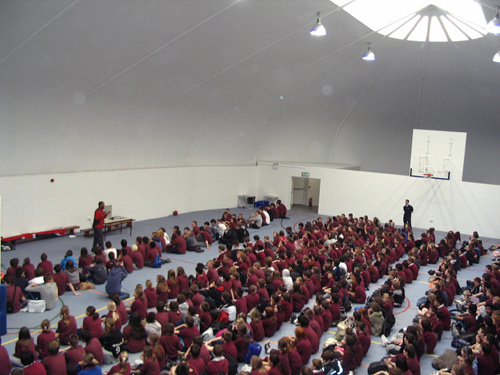 It is school with a proud sporting pedigree, despite the fact that it has had no sports hall for almost 30 years. 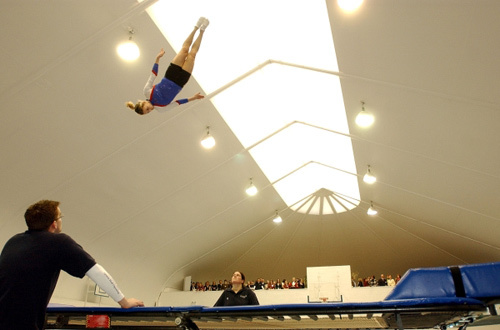 Their new Sprung building is 24.4m x 46.6m with almost 1080sq.m of usable space. 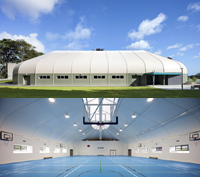 It includes a full sized basketball court, changing rooms, toilets and showers, extensive storage and a mezzanine level for gym equipment and dance studio. 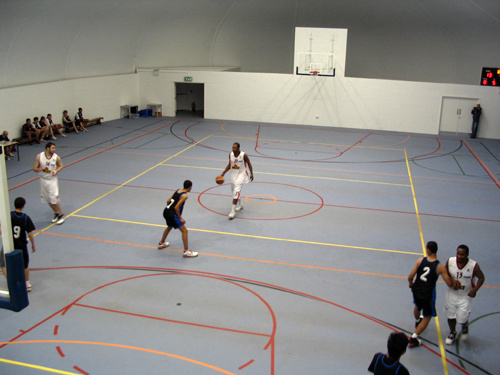 The sports hall is the home training venue for the Guilford Heat, one of the top professional basketball teams in the UK. 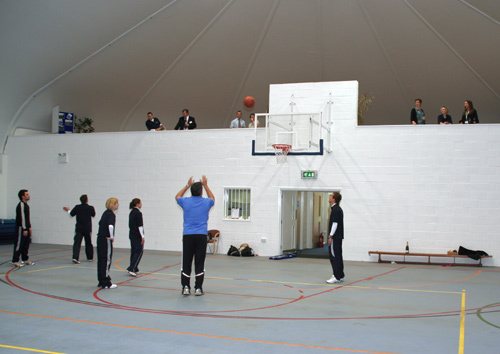 Construction started on site in September 2008 and was completed on time and in budget on 17 March 2009. 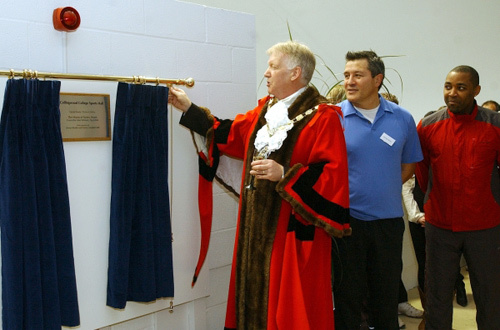 The building was officially opened the Mayor of Surrey Heath, Alan Whittart, accompanied by the Principal of the School, Jerry Oddie, and guests Darren Campbell (Olympic 200m champion) and Zinzan Brook (All Black rugby legend). 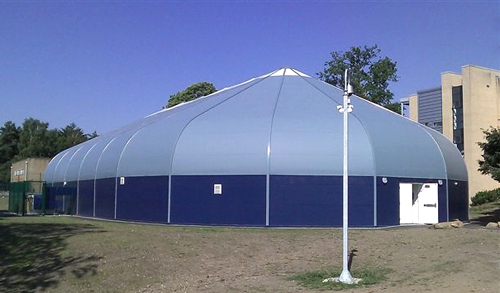 The building is fully compliant with the strictest UK building codes. See below for documents regarding energy and building compliance.